Ancol Vintage Polka Dot Collar - Cappuccino. 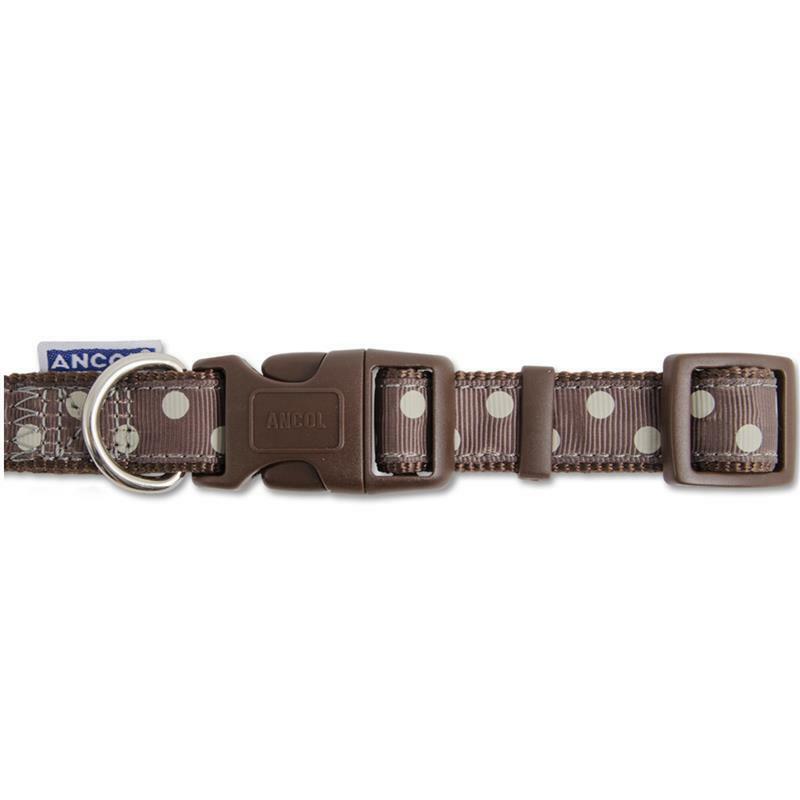 The Ancol vintage polka dot collar is classic in its design; its base of nylon webbing for comfort, with a printed ribbon applique construction. The collar is fully adjustable, lightweight and hard wearing.